Ash Wednesday commemorates the 40 days of Lent. 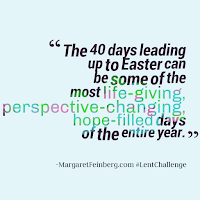 These are the 40 days between Ash Wednesday & Easter Eve (the Saturday before Easter). I did not grow up following the tradition of getting ashes on Ash Wednesday, though I did grow up in the church. 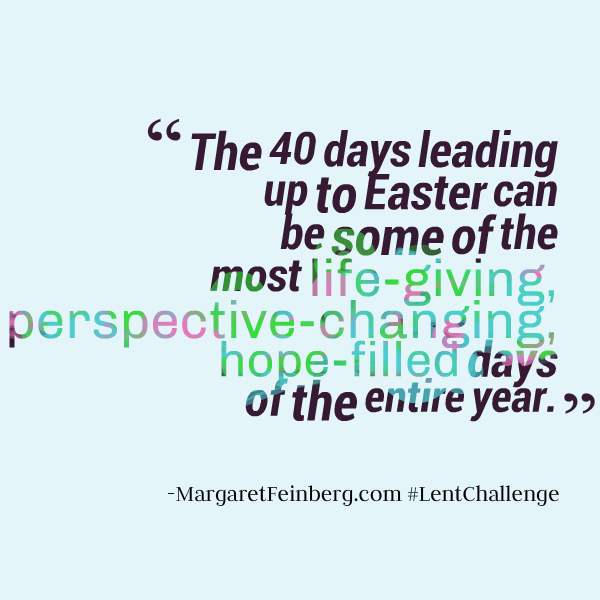 That part of the Easter Season just wasn't a major focus for my family. Other things did. 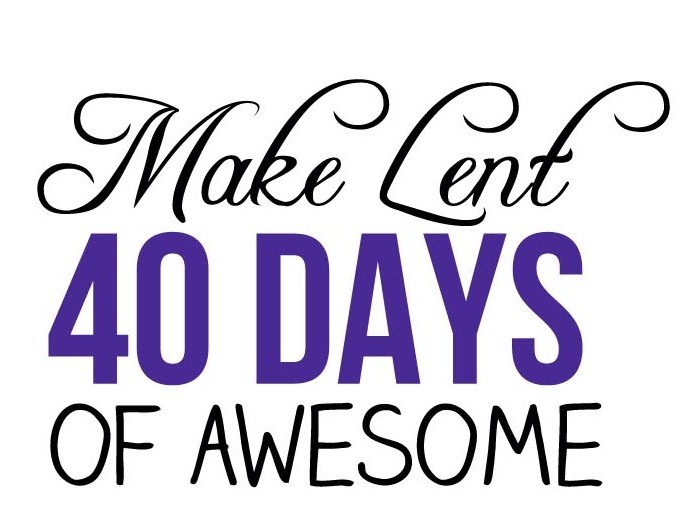 One of the elements of Lent, if that was/is your tradition, is to either give up something meaningful to you for 40 days... or the twist: do something additional/out of your typical routine for those 40 days of Lent. You are sacrificing one way or another. Giving up chocolate is an all time popular favorite. 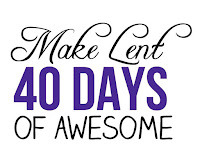 Though, I have heard up people more recently going on a social media fast (to bring more connection to their lives), exercising for 40 days, or making other lifestyle choices during that time period between Ash Wednesday and Easter to enhance their lives. That's where today's post starts. 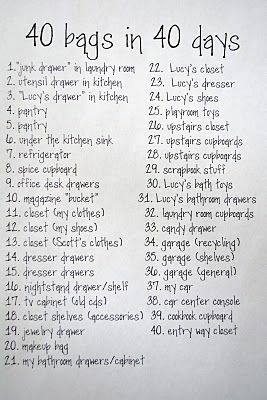 I like that idea of 40 items in 40 days. I saw this picture on Facebook today, which actually served as inspiration for this today. 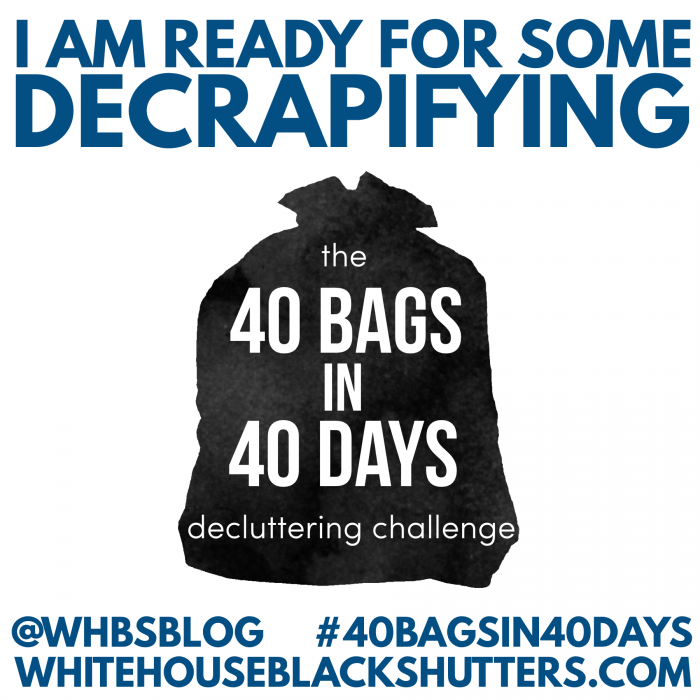 There's also the larger tackle: 40 BAGS in 40 days. 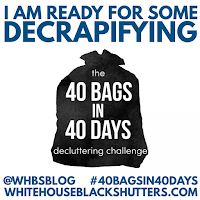 Yes, that would be some major "decrapifying" (to quote the image below). Given it's report card season, that seems pretty darn intense for this kid. But 40 items. I think can handle that. 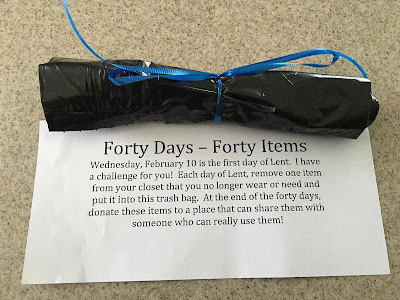 So whether you observe Lent or not, it's a good way to gear up for spring, and carve out a little extra room in your closet. But whatever you do, don't throw it away (there IS no away). So go forth and donate or regifting. Keep those landfills free and clear.